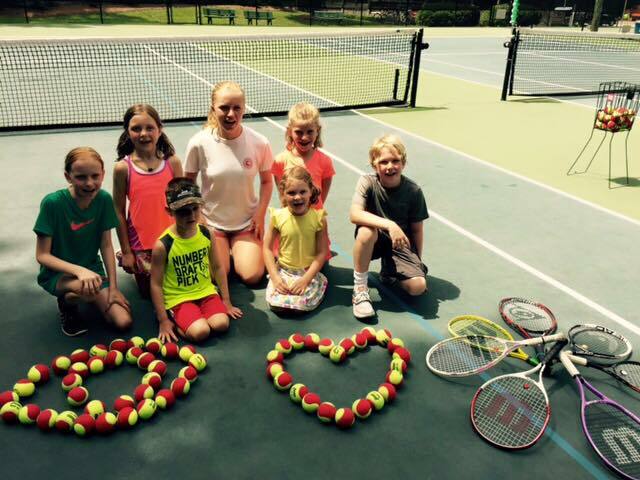 Whether you are an experienced player or just learning, Foxcroft East offers a wide range of tennis activities for the whole family. We are pleased to work with Adrian McDermott to provide our members access to top rated teaching professionals. 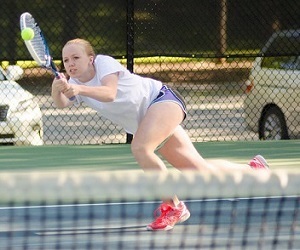 Foxcroft's on-site tennis pros work with members of all ages and playing abilities through clinics, leagues and private lessons with a focus on enjoying the sport. FERSC has 5 courts (3 of which are lighted), that are open year round to the membership. It is HIGHLY RECOMMENDED that you reserve a court through the online court reservation system found on this website. Choose TENNIS COURT RESERVATION at the bottom of the left column. The ladies team has match play on Wednesdays and Thursdays, from approximately 9:00am to 11:00am, for seven to eight weeks in the spring and fall. Team practices are generally held on Monday and Tuesday mornings from 8:30- 10:30. The ladies usually enjoy a lunch together each week after the matches. For more information, please contact Vera McDermott at veracmcdermott@gmail.com or Angie Koehl at cros5815@bellsouth.net. The men's team has match play on Saturdays, from approximately 8:00 am to 11:00 am, for seven to eight weeks in the spring and fall. Team practices are held on Tuesday evenings from 7:00-9:00. For more information, please contact John Summers at johnsummers777@aol.com. - Log in as a Member at the FXE website and go to "YOUR ACCOUNT"
or "Add a Player" and register them for programs.